Mindful Counseling GR is a counseling practice committed to serving the Grand Rapids area by providing the highest quality counseling and psychotherapy services to our clients. As a Grand Rapids counseling practice dedicated to promoting mental and emotional wellbeing, we believe that as human beings we already have everything we need to flourish. The dilemma is that life happens. Life inevitably introduces various degrees of harm and tragedy into our stories. Intimate relationships often embody the paradox of both profound beauty and deep heartache. In this, it is easy to turn away or against one another. Our therapists will invite you and your partner to authentically engage the question of how you navigate your unique relationship and help you determine how to move forward. Sometimes life doesn’t look the way that you expected it to. Perhaps you find yourself reeling in the the wake of your own decisions or someone else’s. 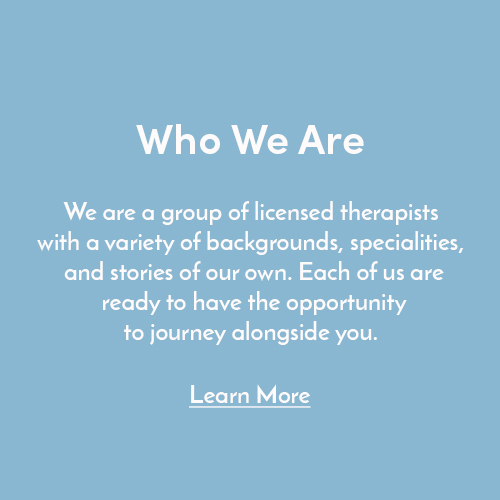 Our therapists will hold space for you and join you in the process of gaining insight into your story, finding healing for your core wounds, and experiencing transformation from shame and patterns in which you feel stuck. All of this in service of helping you become the best version of yourself. We know that there can be a lot of fear and anxiety surrounding the decision to pursue counseling. We want to help you feel as comfortable as possible from your first conversation, to your first appointment. We participate with a few different insurance companies. Take a look to see what insurance companies we work with. If you're ready to schedule your first appointment, we'd love to talk with you to get something set up. Have a question about counseling? We've put together a handful of our frequently asked questions as a helpful resource. Most healing and long-lasting change does not move in a linear pattern--there may be spirals of ups and downs. There is more open to each us than just “getting by.” We are invited to be active, thriving participants in our own lives. Trust your process. Ready to take the next step? Have additional questions? Let's start a conversation.